Ecocem Ireland and Ecocem GB have launched a new brand. Ecocem is Europe’s largest independent specialist producer of GGBS (Ground Granulated Blastfurnace Slag) cement with a capacity of 2.4 million tonnes. Significant developments in the organisation have seen a growing interaction across its operating regions in Ireland, Holland, France, UK and Sweden, as well as the emergence of new product opportunities following 3 to 4 years of innovation work. In order to capture this change, Ecocem is rebranding across the group. 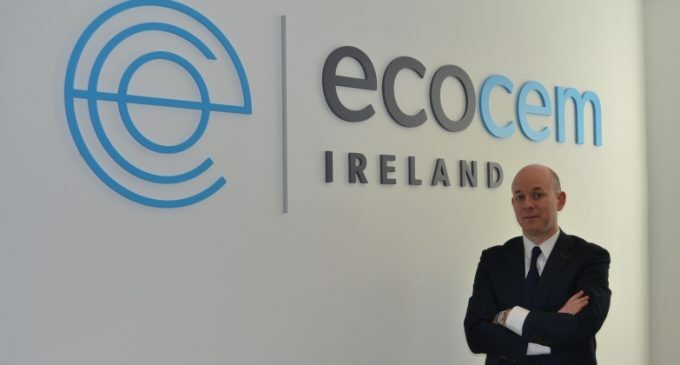 Ecocem Ireland operates a technologically advanced, purpose built facility in Dublin Port from which it services the bulk market in Ireland and the 25kg bag market in Ireland/UK. At the heart of the Ecocem brand is the concept of high quality and precision. The monogram of the letters “eco” come together in the company’s new logo, representing the various stages of a project and underscoring the company’s focus on innovation and sustainability, giving rise to the tagline – Innovation Powering Sustainability. New innovation product opportunities will target areas as diverse as readymix, dry silo mortars, tile adhesives, screed, shotcrete, precast, roof tiles, piling and soil stabilisation. Many of these opportunities will be in areas that perhaps have not traditionally seen the benefits / usage of GGBS heretofore. It is a new and exciting development for the company.